We Can Get Your Data Recovered! Certified Class-100 Clean Room environment. When you need to get critical lost data restored, you need a proven company with skilled professionals leading the way. A company that invests heavily in research and development, and has years of experience working with all types of media. We are that company. We are not just some local computer repair shop. We only perform complex data recovery work. At ACS Data Recovery, we specialize in hard drive repair and RAID data recovery services, and that is ALL we do. Hard drives are very intricate devices, and if you’ve lost critical data, you need experts who are skilled and knowledgeable in the field of hard drive recovery. ACS Data Recovery has been successfully retrieving data for clients all over the world for over a decade. Our team of skilled technicians lead the way when it comes to experience and capabilities. We develop custom software and specialized tools that are geared towards giving us the best possible chance to recover your lost data. Hard drive recovery services are the backbone of our business. We recover data from desktops, laptops and external hard drives on a daily basis. Few things are more complicated than RAID data recovery. If you need RAID 5 data recovery we are the experts to call. We specialize in all RAID levels. Laptop data recovery services make up over a third of our business. Laptops get dropped, and they get abused. We can recover the data from your laptop. Even small media with no moving parts can fail. We recover data on all types of small portable drives. USB thumb drives, pen drives, compact flash, you name it. Email data recovery is usually a top priority for businesses after a hard drive crash has occurred. 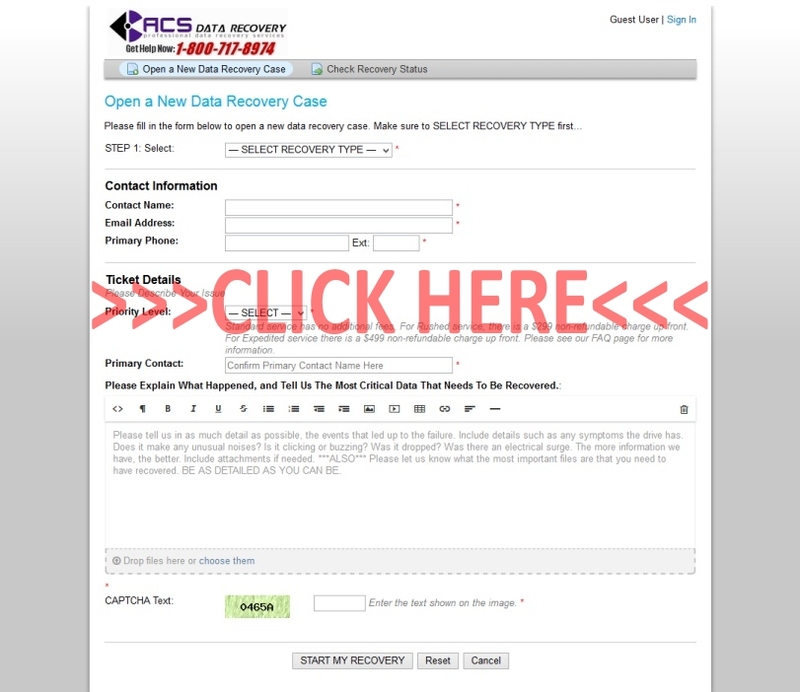 We can recover data for any email client, including Exchange. Logical recoveries can be extremely complicated. File system damage, corruption due to a virus, accidental format, etc. we can recover your data. Few things are worse than losing years of memories from your digital camera or other media device. We can recover directly from cameras, compact flash, etc. Database recovery can be difficult and time consuming. Often needing to be rebuilt manually. We work with SQL, MySQL, Exchange, and even Quickbooks. You don’t have to call to get a quote before shipping your media to us, but data recovery can be expensive, and we’d rather our customers at least have an idea of how much a recovery might cost. When you call for a quote, we will give you either a range of possible prices depending on how much information you can provide us about your case. Or if the type of failure is obvious we can give you a quote that is pretty accurate without even seeing your media. For example, if you state that you dropped your hard drive and now it’s buzzing, we can be 99% sure that the spindle is seized and there is physical damage to the drive. So in a case like that, we can simply take the size of the drive and knowing it has that type of problem, we can give you an accurate price. After you get a quote, you would then create your new data recovery case. This establishes your case within our ticketing system. When this is completed you will be issued a case number for your recovery. To start your recovery, simply click this image. After you’ve created your new data recovery case, you simply package up your media and include a note with your name and the case number that was issued to you when you completed the form. The evaluation is free and once completed, we will update you and confirm the total cost before proceeding with any recovery attempts. With our company, there are no surprises and no hidden fees. Each recovery is unique…some are more difficult than others…however, the price you are quoted after the initial evaluation is the final price no matter how difficult your case may be. The most important thing, next to getting your data back, is knowing that your data is completely safe and secure at all times. No one likes the thought of prying eyes looking through personal data, and we take that concern very seriously. Each and every recovery is assigned to a single technician. Our technicians can typically verify a successful recovery without even having to open many files, if any at all. We also make sure that all of your data is kept safe within our lab. We don’t outsource any of our recovery work. Our facility is locked and secured 24/7. None of our recovery stations are networked at all, so there is absolutely no chance your data can be intercepted or picked up by anyone who might attempt to hack our network. Confidentiality is paramount in this business. That’s why we don’t brag about who we’ve done work for unless they specifically authorize us to use their name. We’ve done recovery work for nearly every major corporation you’ve heard of, major defense contractors, hospitals, universities, and celebrities. One thing we stress to all of our customers is, everyone gets the same high-level of service and guarantee of data security no matter who you are. The same data security protocols we have in place for defense contractors are exactly what a small business owner would receive. Everyone can be assured their data is secure at all times. When you call our offices you can actually ask to speak with a real data recovery technician…not just some generic call center representative. That means you can ask real questions, tough questions, about your specific situation and get real answers right then and there. We do our best to explain potential problems with your media and diagnose as much of the problem over the phone as we can. At ACS Data Recovery you aren’t just a number. We treat you like a real human being, and we are fully aware that situations where massive amounts of data have been lost, or maybe years of family photos, is extremely stressful. We do whatever we can to be as realistic as possible. We won’t give you false hope, or make unrealistic promises just to get your business. If we don’t think your data can be recovered, or if there’s no way we can help you we will let you know that before you send your media to us and we may even refer you to another data recovery company. Our goal is not to get in as much work as we possibly can just to keep us busy. We stay extremely busy as it is. 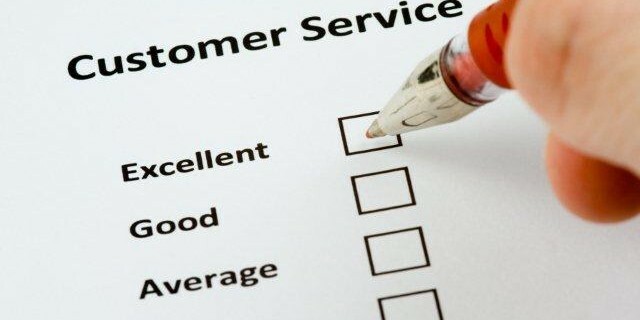 Our goal and our primary focus has always centered around giving our customers the best service possible. We want to help you, and we want to exhaust every possible effort to recover your data. Nothing we do will make the situation worse than it already is, and if we can’t recover the data, it’s simply not recoverable. Looking for a local company to retrieve your data? That may not be possible. There are really only a handful of companies that are even qualified to perform complex recoveries on hard drives or RAID arrays. Computer repair shops, large big box stores, and those that try to lure you in with unreasonably cheap prices are not going to be able to help you. Even the companies that advertise that they have local offices are typically just using virtual office space. You drop your drive off with a receptionist and it is still shipped to their lab where ever that may be. Should You Trust Data Recovery Reviews? Are you basing your decision on the reviews you read online? While many are legitimate, there are some companies that take advantage of the ease in which you can manipulate reviews these days. The biggest factor that you should look for when searching for any data recovery provider is: do they get paid if they can’t recover your data? If the answer is “yes” at any point…then you should keep shopping. 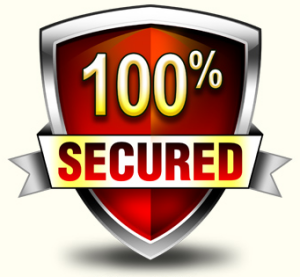 Any capable data recovery company is going to be able to provide you with a strict no-data/no-charge guarantee. The only time an attempt fee, lab fee or any fee should be charged are in cases where the storage device has already been opened or worked on by another company. This makes up the bulk of the work we do. Recovering data from failed hard drives of all types and all brands. Our efforts won’t make the situation worse, nor will they void your existing warranty. We repair hard drives on a daily basis, and recover thousands of terabytes of data each year. If you’ve suffered a hard drive crash, find out how you can avoid making the situation worse. It doesn’t matter the RAID configuration you have, or the number of drives within the array…we can recover the data safely and effectively without making things more difficult for you. Our recovery process is completely safe in every way. Experienced data recovery professionals who specialize in RAID data recovery will analyze your issue, and decide the best course of action. We start off by repairing any failed drives and then imaging each drive within the array. The imaging process guarantees that nothing we do will alter the original data structure since we will be working from cloned copies.